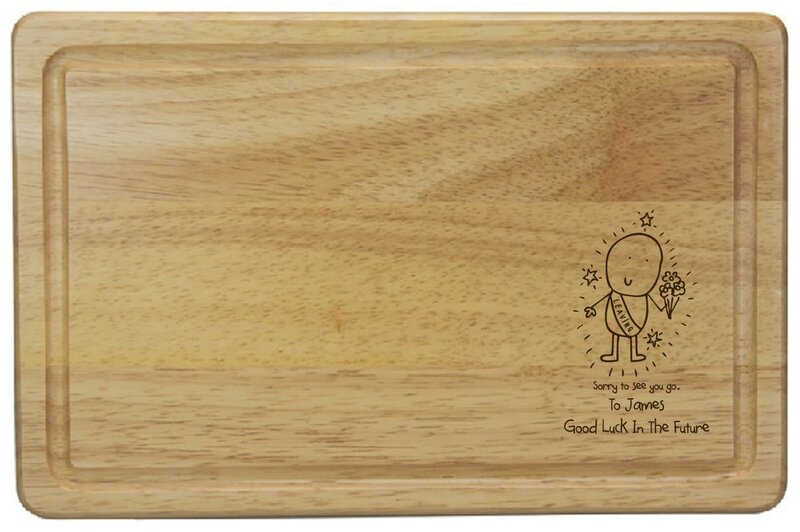 Our Chilli and Bubbles character is etched onto this high quality wooden board along with your message to them. This quirky gift is definitely a unique way to say thank you, goodbye and stay in touch! Making the perfect addition to their kitchen this cheeseboard will definitely make them smile each time it's used.